We’re the power solution for your customers. We stay ahead of the trends so we can provide you with the best prices and methods and our guys with the highest safety standards. No matter the project, we have the plan. As a family business, we take a handshake as serious as a contract. We want all our clients to be happy, so we take the extra time to focus on the details and sweat the small stuff so you don’t have to. We aren’t clocksmiths, but keeping time is part of our business plan. We aim to have every job completed on schedule so long as safety permits. Since we’re a small business, you won’t get lost in a stack of folders on a desk or send emails into an abyss. No matter the size, we handle every one of our clients with the same care. With over 30 years in the industry as a senior level executive, Dean Kredit took his knowledge and love for electrical contracting and began K2 Electric Inc. with Marna Kredit in 2003. Beginning with just one field employee, Dean has now grown K2 to over 90 employees who are experts in commercial electrical contracting. 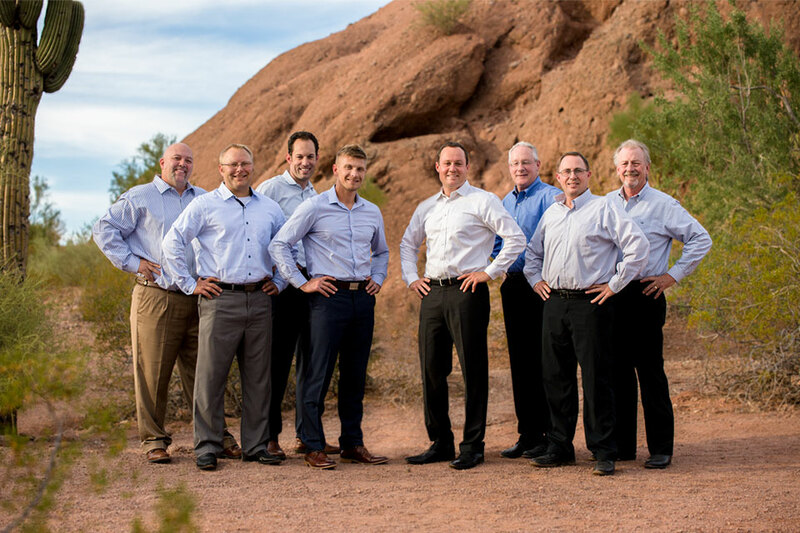 Together with Jared Kredit, who became Vice President in 2015, K2 has become the leading commercial electrical contracting company in Phoenix. Let’s light the path to success. If you need design-build or value assist guidance, we have the ability to design-build jobs from top to bottom so you save on time and cost. We don’t love wasting anyone’s time, so a good plan is key. Together we can create a schedule and stick to it to get the job finished. Hand in hand, we put our plan into action. We’re with you every step of the way, but we promise, we’ll do all the hard work. Our job isn’t done until every switch works and you’re completely satisfied. Don’t consider this a bonus. We just think it’s the way things should be. We’re wired to help you. Our mission is to provide our customers with exceptional performance and on-time completion while maintaining a safe and pleasant work environment for our employees.